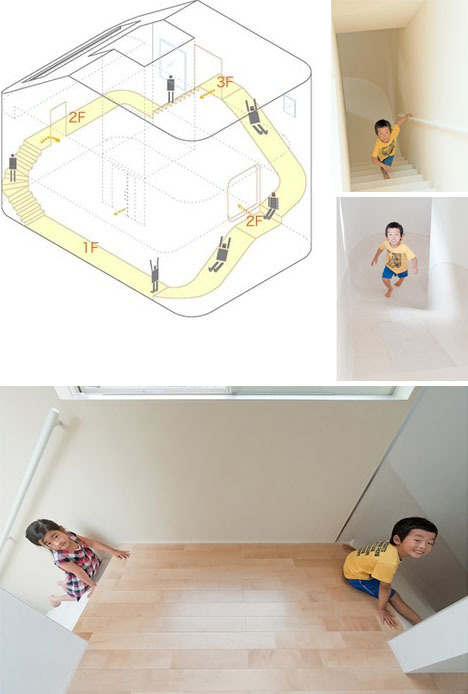 While it is far for the first time a family has indulged its children with such a whimsical addition, this may be one of the most well-integrated (and longest) at-home slides yet created. 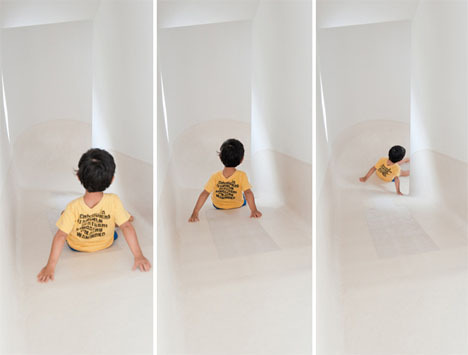 The long slide down (designed, ironically, by Level Architects) completes a circuit that starts with a staircase running along two walls of the home – one could endlessly move in a circle, effectively, running up and sliding down (definitely a good way to tire the kids out before bedtime!). 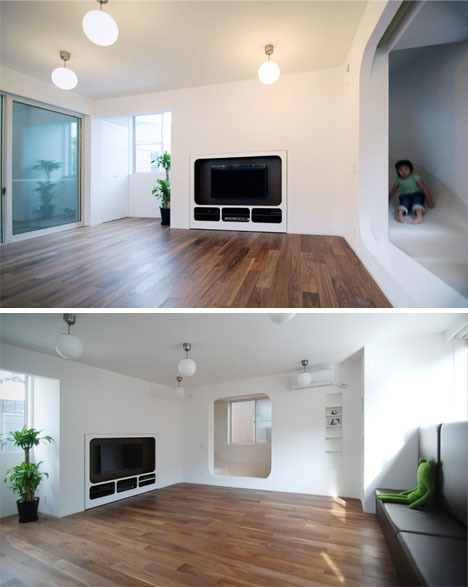 While this core circulation wrapping the edges of the interior is certainly a great first step, there are many other child-oriented design strategies to be found throughout the house. 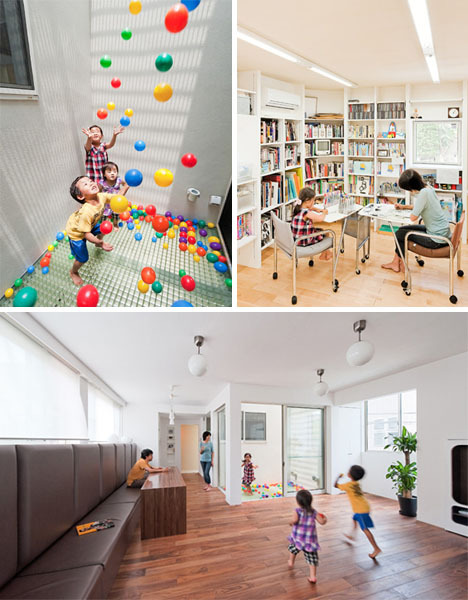 Other kid-friendly spaces include include ball-fillable playrooms, art spaces and copious shelves for kids books and coloring supplies.